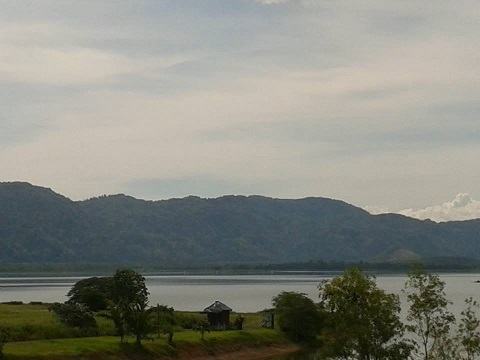 The 29th B’Day (Episode II) : Deciphering The Mist Of Kingdom On The Clouds – Visiting Timah Tasoh Lake, Gua Kelam & Ostrich Farm @ Perlis Indera Kayangan. As the old “sentimental plan” prior to birthday was broken due to inevitable eleventh-hour commitment, a Plan B was concocted. 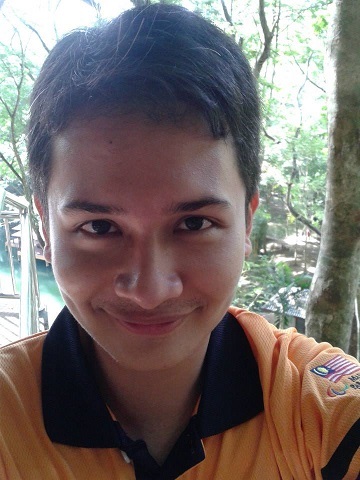 My best buddy, Zahiri a.k.a. 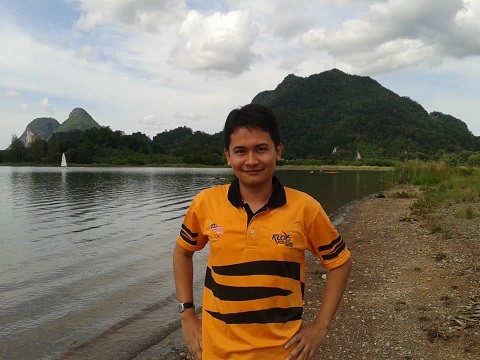 Kod became the “bidan terjun” as he knows Perlis better than I do. 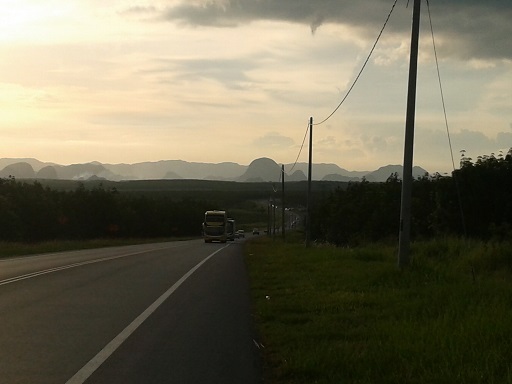 I have always wanted to explore Perlis and since Jitra is situated quite near to Perlis, I thought – “Why not?” At least I can broaden my experience exploring other uncharted territories which are new for me. You know, new places come with new experiences. 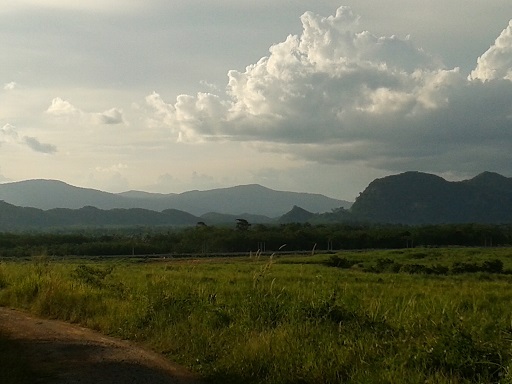 The serene Timah Tasoh in Perlis. Since I am a vampire during the holidays, the coffin only closes after Subuh. With Kod also having some family affair in the morning, we planned to meet around 2-3 p.m at Changlun. I am not really familiar with Changlun and couldn’t locate the exact spots he was referring. Either way, we finally met at C-Mart and I must say that I am impressed with the rapid development in Changlun! Wow, it’s great to see the hustle-bustle commotions in Changlun. Not bad; it can vie Jitra in no time! 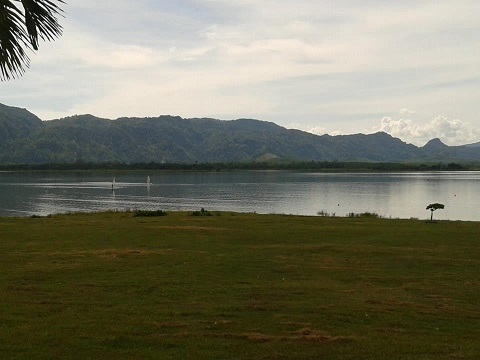 The serene Timah Tasoh Lake. Breathtaking and mind-soothing. 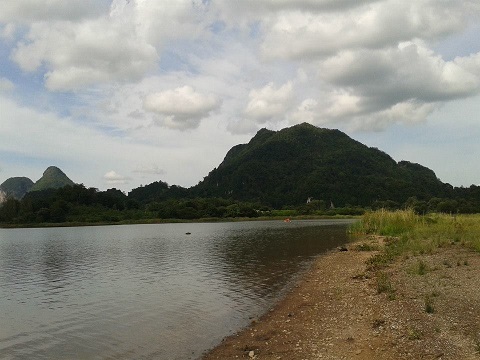 The first destination was Timah Tasoh Lake which situated in a the small district of Berseri. 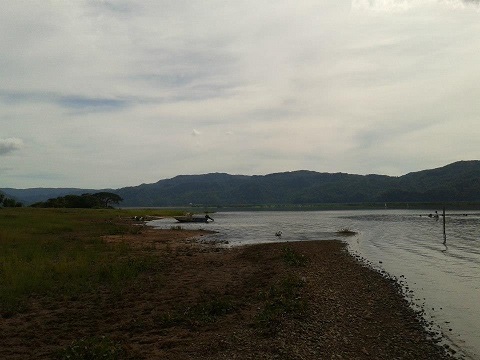 It is nearby the Timah Tasoh dam which happened to be the name derived from two rivers; the Timah River & The Tasoh River. 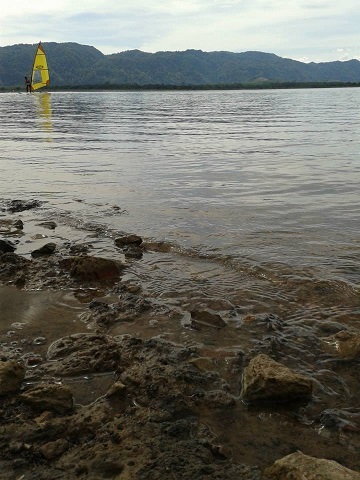 It is said that this man-made lake was built from 1987-1992. 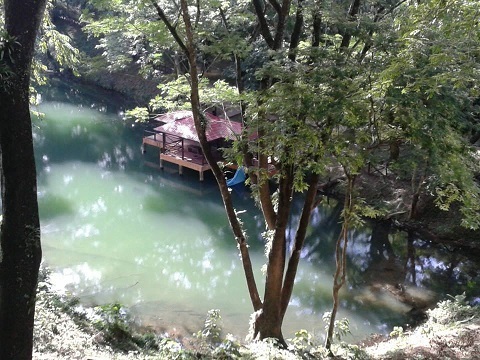 I can vouch that it is a beautiful and serene place which you can come to relax your mind. The lushes greenery are so tranquil and you can see yonder-looking mountains and hills! The feeling as if I was in Lake Tekapo New Zealand was intact! The entrance fee is RM5 and different prices are charged if one is to do wedding photography shootings or family picnic activities. Timah Tasoh has also make headlines in the local entertainment industry when Fasha Sandha, a Malaysian actress held her wedding reception there (I just knew about it when I was Googling about Timah Tasoh. Sorry, not a fan of her) and also the location for musical video clip of chanteuse named Alya for her hit song “Kisah Hati”. 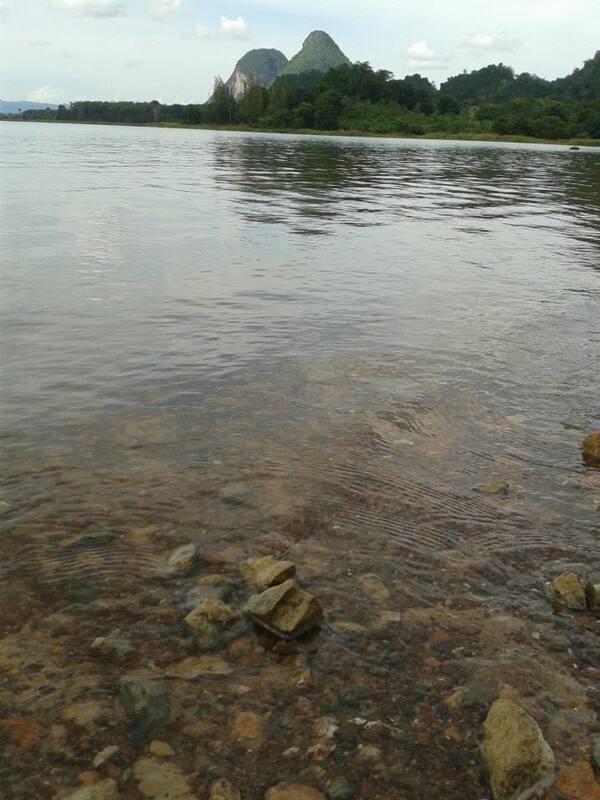 Unfortunately, I couldn’t spend much time there due to time-constraint as it was already 4.20 p.m.! 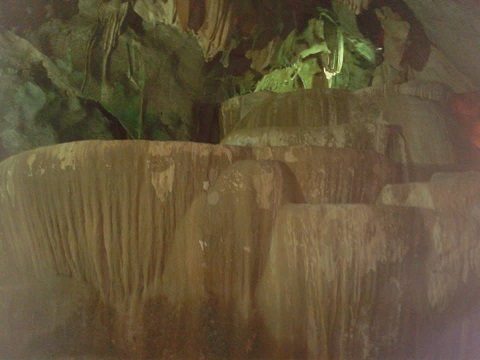 The ethereal-looking stalagmites and stalactites in Gua Kelam or The Cave Of Darkness. Amazing how hundred of years can carve these masterpieces! 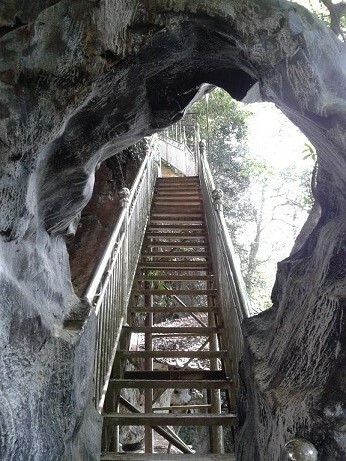 Not far from Timah Tasoh is Gua Kelam at a small residence called “Kaki Bukit” or loosely translated as The Cave Of Darkness. 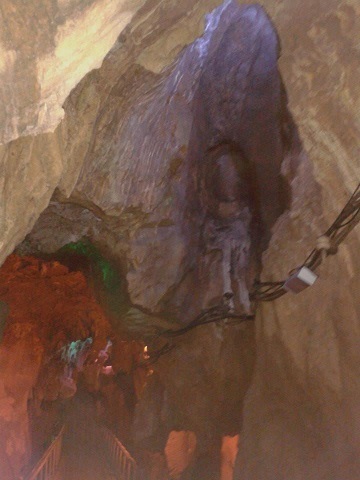 Had to be hurry from Timah Tasoh because the entrance of Gua Kelam will be closed at 6 p.m. 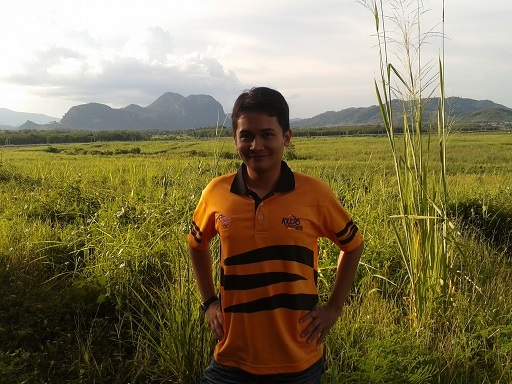 I think Kaki Bukit seemed so cute and tranquil as the background is the big hill in the mountains of Banjaran Nakawan of where Gua Kelam is situated. The entrance fee is just RM1 per entry and I could see a lot of people thronging! Some kids were bathing at a mini waterfall and canals in the recreational park nearby. The alley leading to Gua Kelam is iron bridges with a few colourful dimmed-light neon. It created both mystical and enchanting feeling. 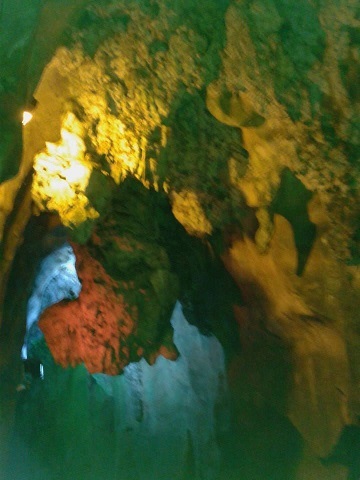 Seeing the breathtaking stalagmites and stalactites were just ethereal. Subhanallah. You will be fixated seeing what God creates through the ages of time! 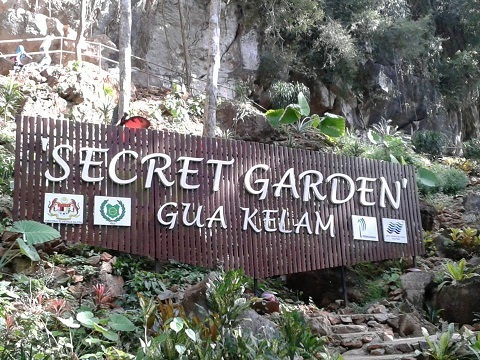 At the exit of the cave in the valley of Wan Tangga, there is a garden dubbed as “Secret Garden”. It was nice with ponds, streams and recreational pathways. There was supposed to be a deer park but we couldn’t find it, though. 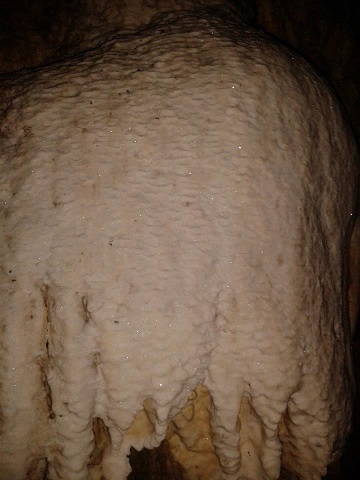 The limestone in crystal form! 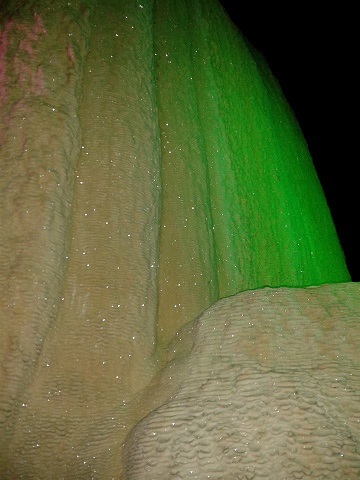 Glistening in the dark! Whoa. 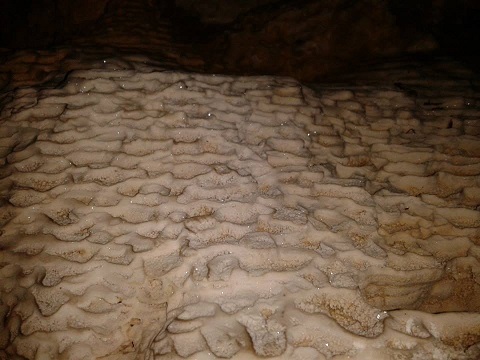 Big cups-like structure of limestone. Kod a.k.a. Zahiri, my buddy. 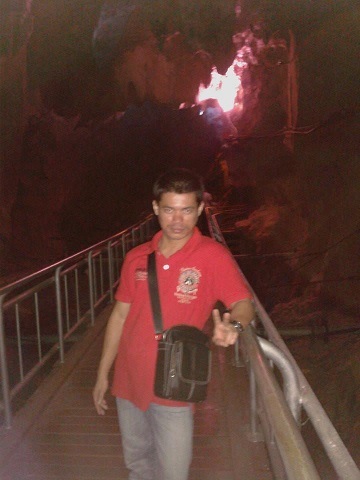 Hahhaa thanks for being a “bidan terjun” tourist guide! Hahaha, he already been to these places. 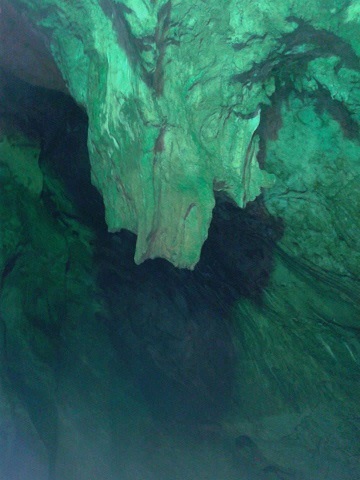 A brief history on Gua Kelam or The Cave Of Darkness. 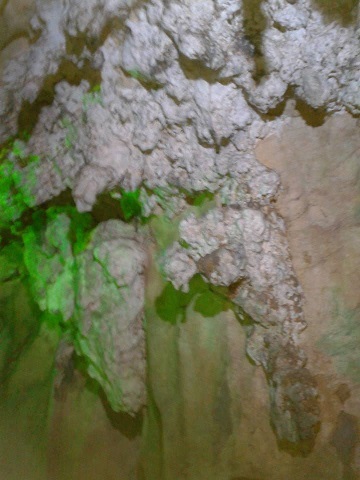 It was said that the name derived from the state of darkness experienced by the miners when they went into the cave. 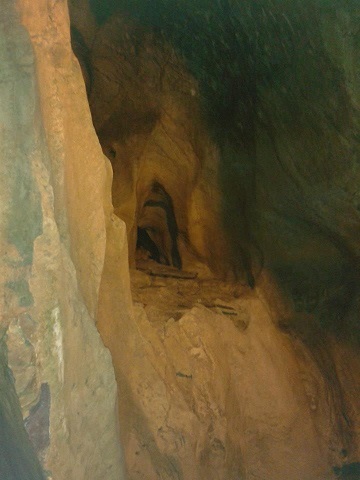 It was said the tin ore was first found by a man called Nayan. 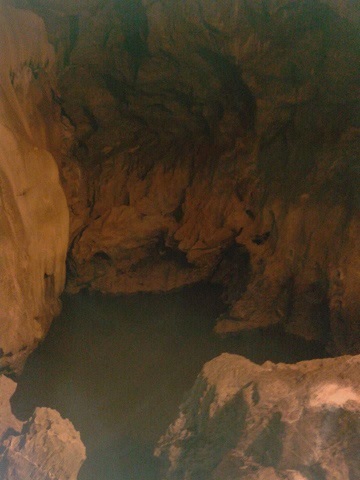 In the year 1935, it was said that an Englishman concocted the idea that the water channel is the best way to transfer all the tin ores from the spots nearby the streams in the cave to Kaki Bukit, the nearby settlement. The Secret Garden in the other side of the cave, in the valley of Wan Tangga. 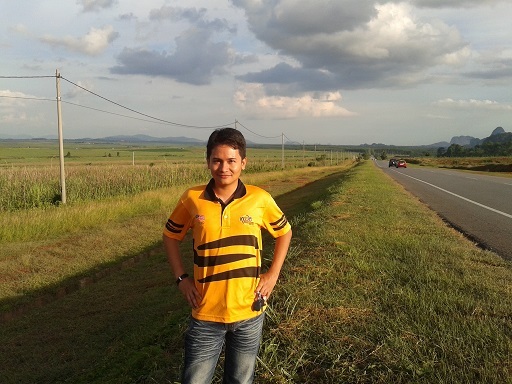 Since my buddy, Kod was chasing time before Maghrib as he had other engagements, we have to retire from Perlis. 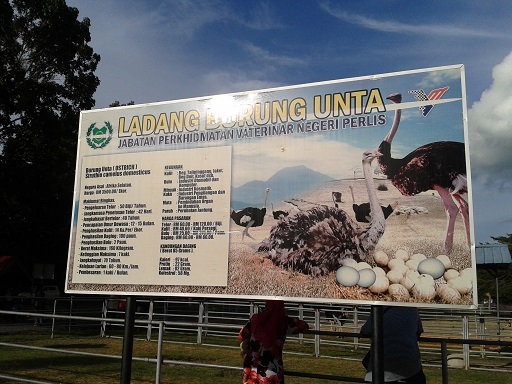 On the way back, we dropped by at an Ostriches Farm erected by the Jabatan Perkhidmatan Veterinar Negeri Perlis. It was just at the side of the road (of which I don’t know but I can vouch that it was leading to Chuping!). 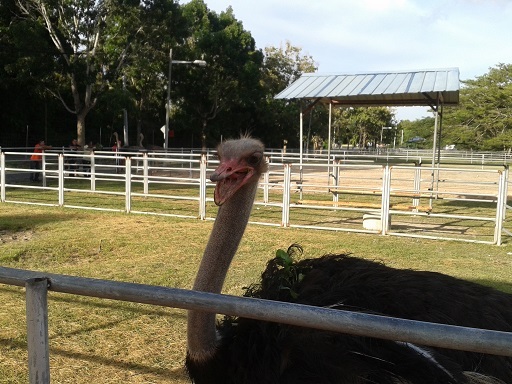 I saw many people there giving the ostriches some vegies to eat but the long-necked ostriches were really intimidating for me! Hahhaaa.. Perhaps I was scared if they were going to peck my head! Hahahahaa…. I applauded this effort by Perlis Veterinary Department. 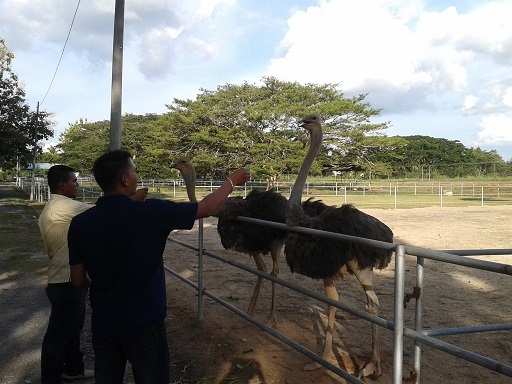 It can educate people more about ostriches as well as generate some interests in animal/avian studies. It is free-of-charge ! Ferocious and hungry looking ostriches! Hahaha.. I wouldn’t dare to give them the vegetables! 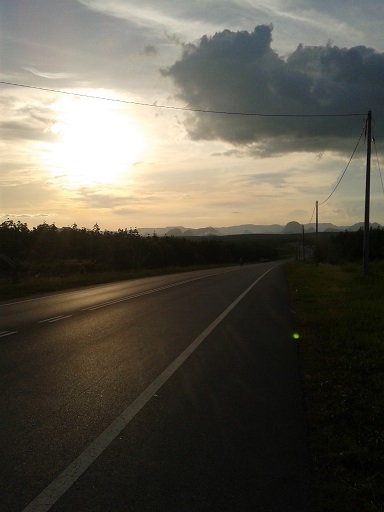 On the way back to Kedah, we used the Chuping road. I’ve been here last year (check my entry at :https://undomiel84.wordpress.com/2012/08/21/eid-mubarak-2012-part-ii-annual-families-gathering-vast-hacienda-in-chuping-perlis/; last time was with Sony Ericsson W300i but this time around, the pictures are much clearer with Samsung Galaxy Ace Plus!) but still the beautiful former haciendas were really nice. 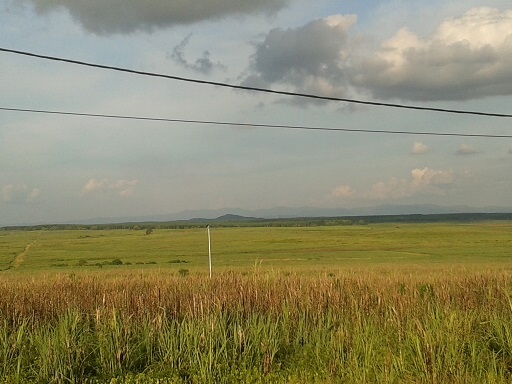 Seeing green pastures all yonder-looking. Like I said, it is New Zealand of Malaysia; only is that it is hotter. The sun set was panoramic and enchanting! On whole, it was nice birthday treat I give to myself as a back-up to the “sentimental” defunct plan. But hey, life is all about being creative. You know, this year may not being about material, but spiritually I hope that I will be a better soul who have a positive way of looking towards life. Indeed, life is beautiful; it is how you look at life. The sun set at Chuping. 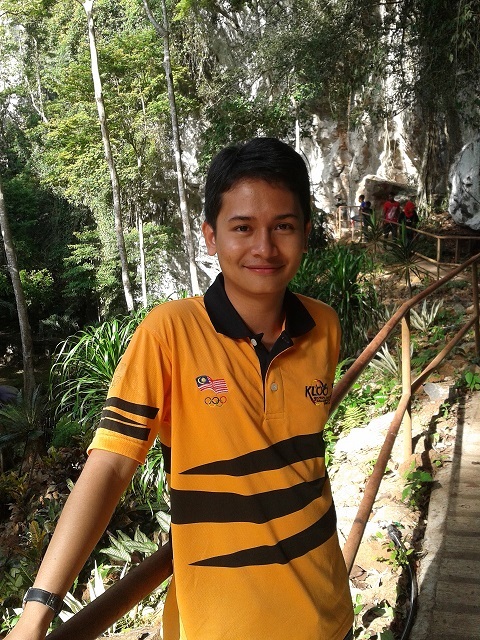 ← The 29th B’Day (Episode I) : Alhamdulillah – Writing My Own Stars.